Matthew Gene Samuel, age 42, of Columbia passed away November 17, 2018. He was born on February 3, 1976 in Columbia, Missouri. He was the son of Larry and Elaine (Tambke) Samuel and was Baptized and Confirmed at Trinity Lutheran Church, Columbia, Missouri by the late Pastor Gerike. Matthew was a Christian and a member of Trinity Lutheran Church. His son Carson attended Trinity Lutheran Preschool Learning Center for 3 years at Matthew’s request. Matthew grew up in Columbia and attended Fairview and Russell Elementary Schools. He graduated from Rockbridge High School in 1994 and attended Columbia College. Matthew was a consummate hard worker, having worked in the restaurant business, installed Playtime backyard gym sets, established M & V motors in Mexico, Missouri. The last 8 years, he worked for HACC Construction Company in Columbia, Missouri, specializing in both electrical and plumbing work. 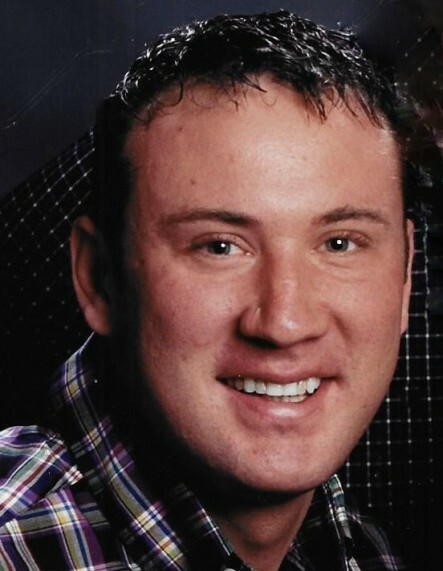 Matthew was an avid outdoorsman enjoying hunting and fishing. His fishing passion was crappie; however, he also enjoyed fishing for spoonbill, catfish, trout, and blue gills. In 2017, he won a crappie fishing tournament in Central Missouri. Matthew is survived by his son Carson Gene Samuel of Columbia, and Kaleb Sweeney, who he loved like a son. His parents Larry and Elaine Samuel, Brother Michael Samuel (Tawnya), niece Carly and nephew Collin of Ashland, MO. Sister Cynthia Michell Bluhm (Brian), niece Claire and nephew Gavin of Los Alamos, NM, and niece Jaime Berry (Ryan) of Topeka, KS. In lieu of flowers, contributions are asked to be made to the Carson Samuel (age 5) Education Fund (GoFundMe account: Matthew Samuel educational fund for Carson Samuel. Funeral services and visitation will be held at Trinity Lutheran Church, 2200 West Rollins Road, Columbia, MO on December 1, 2018. Visitation will be held 10:00am-12:00pm, followed by the funeral service at 12:00pm. Pastor Brian Thieme will be officiating. Interment at a later date.